The immigration detention of children continues to be a pressing concern in Thailand. On November 2nd, Fortify Rights reported that a young Rohingya girl named Zainab Bi Bi had died after spending over three years in immigration detention facilities and government-run shelters in Thailand. According to Fortify Rights, the 16-year old Rohingya refugee had reportedly fainted and bled from her nose and ears on 27th October while being detained at the Sadao Immigration detention centre (Sadao). She died six days later. Zainab had been trafficked from Myanmar to Thailand; in 2015 the Thai authorities transferred her to Sadao from a shelter run by the Ministry of Social Development and Human Security. Zainab received treatment several times for her affliction during the months preceding her death. Fortify Rights have documented deplorable conditions within Thailand’s IDC’s including at Sadao. Detainees at Sadao have told Fortify Rights that they were confined indoors 24-hours a day in overcrowded, unsanitary cells without access to adequate hygiene amenities, adequate food, physical exercise, or appropriate medical treatment. This immigration detention centre was clearly not a safe or appropriate place for Zainab. Zainab’s death comes after a government crackdown beginning in October which saw numerous asylum seekers from Pakistan and Somalia arrested and detained. On October 30th, Thai police raided homes in Bangkok, arresting 22 Pakistani asylum seekers, including nine women and six children under the age of 10. These asylum seekers were detained overnight at the Suan Phlu Immigration Detention Centre (Suan Phlu). The following day, the police released the children to parents or relatives in their community and brought the adults to court. The Taling Chan Provincial Court charged 15 of the adults for overstaying their visas and one adult with unauthorized entry into the country. Their applications for bail are currently pending. The authorities released four children, including an infant, and five adults on the same day. The other 12 asylum seekers, including four unaccompanied children, were sent to the Suan Phlu. On November 2nd, the Phra Nakhon Nuea Court fined the eight adults for alleged violations of the Immigration act and returned them to the Suan Phlu, where they await bail. As of November 20th, three of the four unaccompanied children have been released, however one remains in detention. The continued arrest and detainment of children is at odds with statements made by the Thai Prime Minister at the Obama Summit before the New York Declaration. Later in November 2016, in its reply to the list of issues raised during the Human Rights Council’s Universal Periodic Review, the Thai government implicitly reinforced that it does not intend to detain ‘children, women and sick people.’ Subsequently in early 2017, the government reassured the Human Rights Committee that Thailand has a ‘no child detention policy.’ This statement coincided with a Cabinet resolution in January 2017 approving, in principle, a proposal to develop and implement a screening mechanism for undocumented immigrants and refugees. The case of Zainab and recent raids show that despite such statements by the Thai government, child asylum seekers and refugees continue to be arrested and detained indefinitely in immigration detention centres across Thailand. International research has shown that even short periods of detention are harmful to a child’s psychological and physical wellbeing and compromise their cognitive development. Thailand is a party to the Convention on the Rights of the Child (CRC), which provides minimum standards to ensure the protection, survival, and development of all children without discrimination. 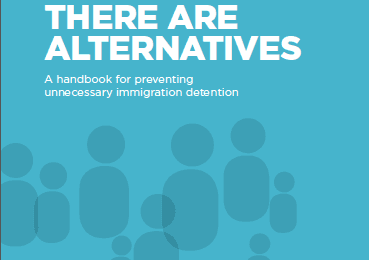 The CRC Committee has provided authoritative guidance that children should not be detained on the basis of their or their parent’s migration status, and States should expeditiously cease the practice. However, there are positive developments. The Thai government is working with civil society to develop alternative care arrangements in the community for unaccompanied children, as well as children and their mothers. 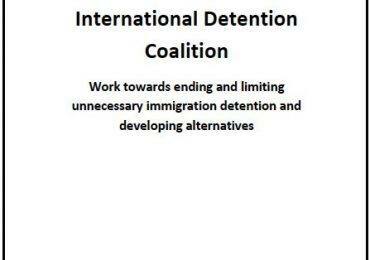 Such efforts should be continued, and alternatives developed that respect family unity as well as avoid the institutionalization in shelters that may act as alternative forms of detention. Thailand must also adhere to its child-specific legislation (such as the Child Protection Act) which could have significant positive impacts on child asylum seekers and refugees. Government Ministries should also treat those under 18-years-old first and foremost as ‘children’ and thereby include them within the purview of such legislation.